It may seem a bit macabre to say that I find cemeteries beautiful. 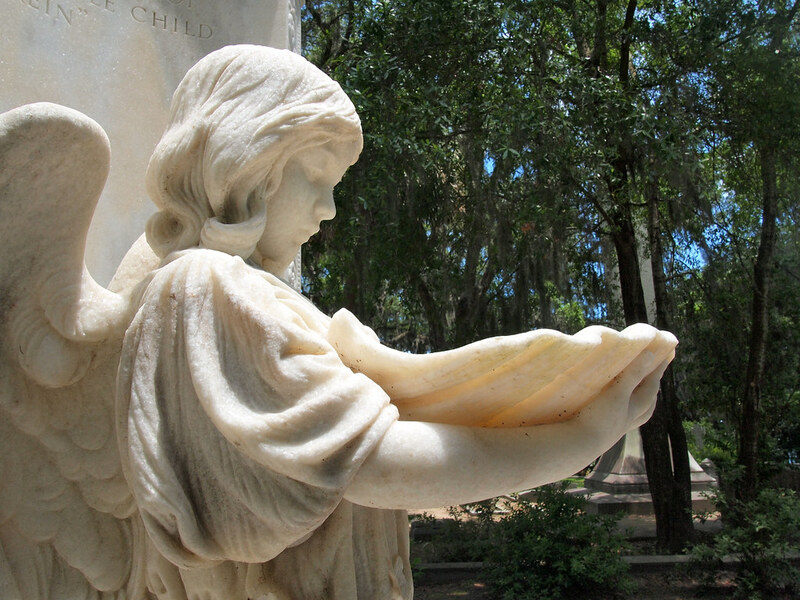 But, macabre or not, it's true — cemeteries can be just as serenely pretty as they are somber. 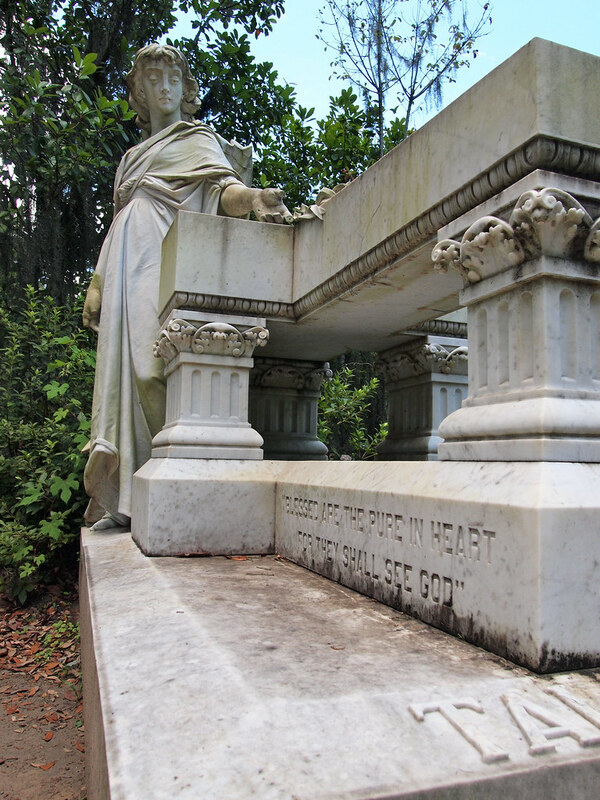 And Bonaventure Cemetery in Savannah, Georgia, is no exception. 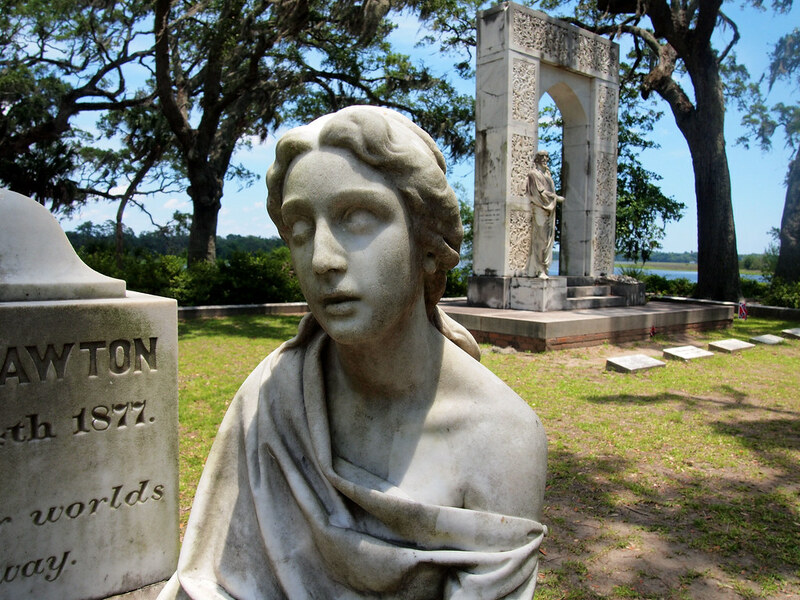 In fact, this 160-acre cemetery on a bluff overlooking the Wilmington River may be one of the most beautiful cemeteries that I have ever seen. 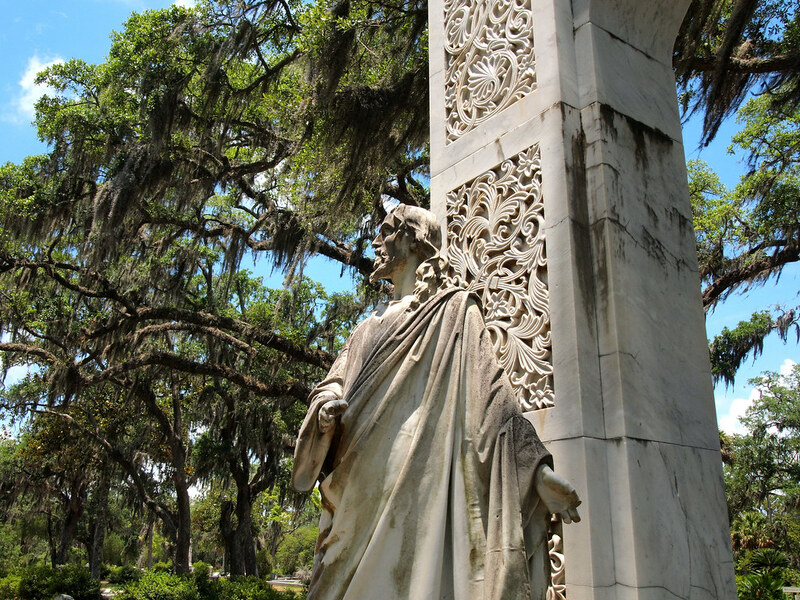 With Spanish-moss-draped trees, aging marble headstones, and weathered statuary, it's not surprising that Bonaventure Cemetery has captured the imaginations of everyone from poets to filmmakers throughout the past century. “City of the Dead.” A haunting phrase, but one that I think describes Bonaventure perfectly. 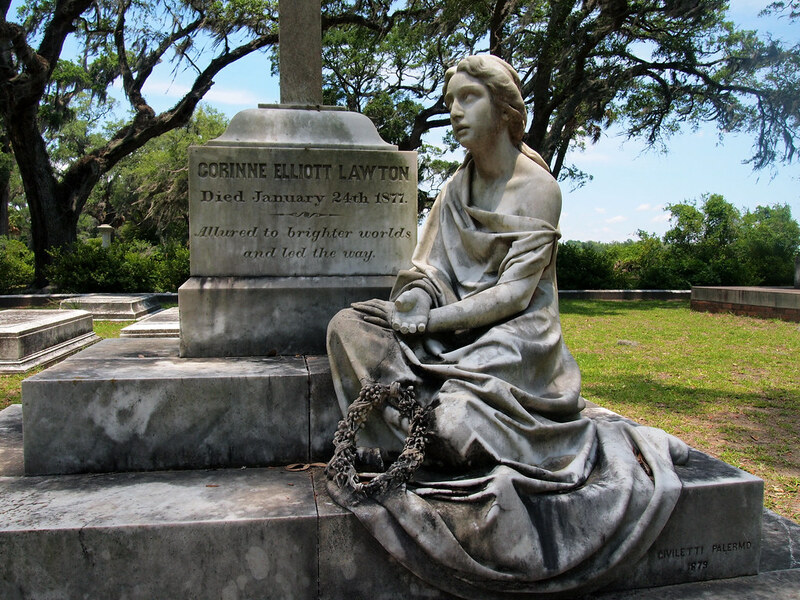 Visiting Bonaventure Cemetery would probably be my top suggestion if you're planning to go to Savannah. 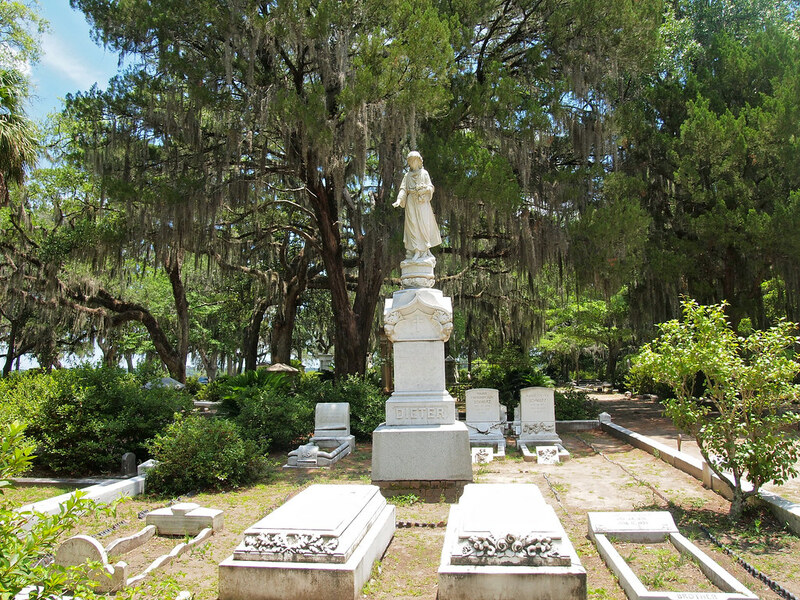 Do YOU visit cemeteries when you travel? Which is your favorite photo in this bunch? I LOVE a good cemetery and this looks like a nice one. 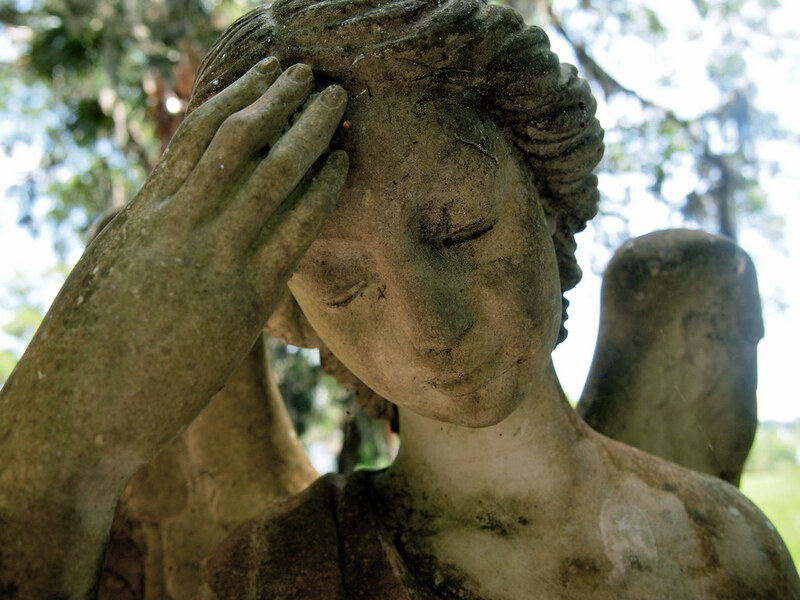 Whenever we travel, cemeteries are always on the itinerary — especially if we are going to a different country. It’s nice to see I’m not the only one. You are definitely not the only one – cemeteries are usually not only historical and interesting, but also often very pretty. Some of them really are “masterpieces,” aren’t they? Looks gorgeous. Makes me want to go to Savannah! 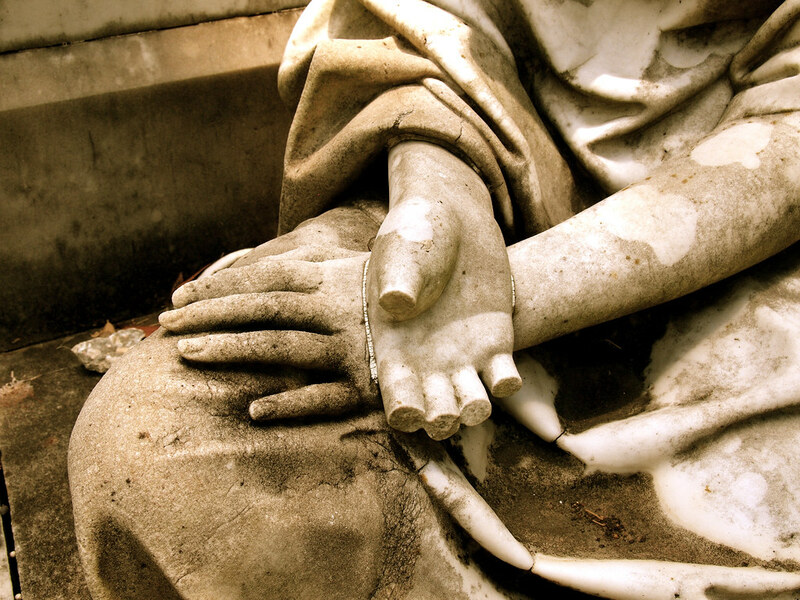 I don’t think it’s macabre to find beauty in cemeteries…they’re often some of my favourite sights! People say I’m weird for liking cemeteries (there are plenty of other reasons to say I’m weird! ), but I don’t care. I don’t think it’s weird. I think they can be very serene and pretty places, and can remind us to remember things and people that are gone. I definitely recommend a trip to Savannah! Haha well if finding cemeteries makes me weird, then so be it! I’ve visited quite a few cemeteries during my travels. One of the most impressive to date has been Recoleta in Buenos Aires. That place is a maze and some of the mausoleums are true architectural marvels. If I ever swing through Savannah, this is a place I’d want to visit. I’ve heard of Recoleta and imagine I would love that one, too. Gorgeous writing and photographs. Ever since I visited the Pere Lachaise Cemetery in Paris, I’ve become a huge fan of cemeteries. Okay, that does sound a bit weird but whatever! I’ll just roll with it. I definitely have to try and visit that one in Paris! I am the exact same way Amanda, whenever I spot a cemetery like that, I have to go inside. If you’ve never been to Pittsburgh, they have a couple cemeteries the same size dating late 1700’s. 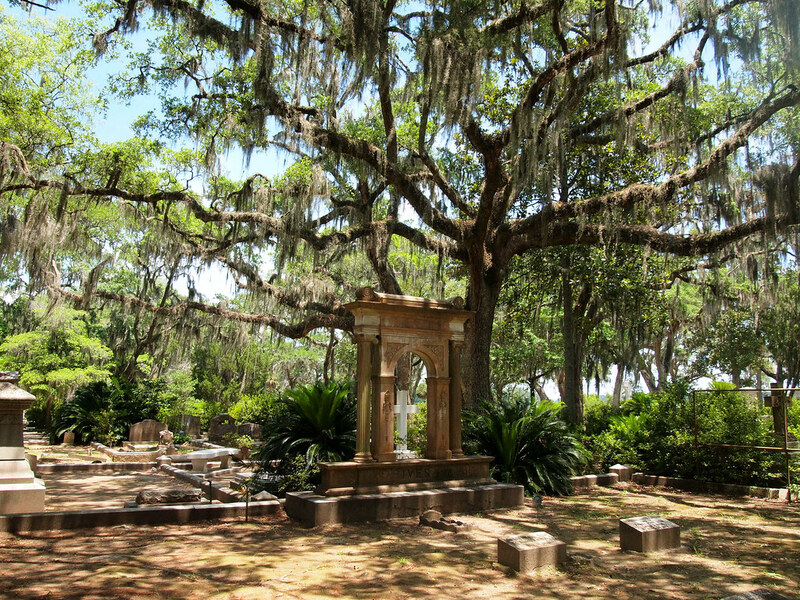 This cemetery is gorgeous, the Spanish-moss covered trees as a backdrop adds to the effect. Love the photos! You would LOVE this one, Ryan. 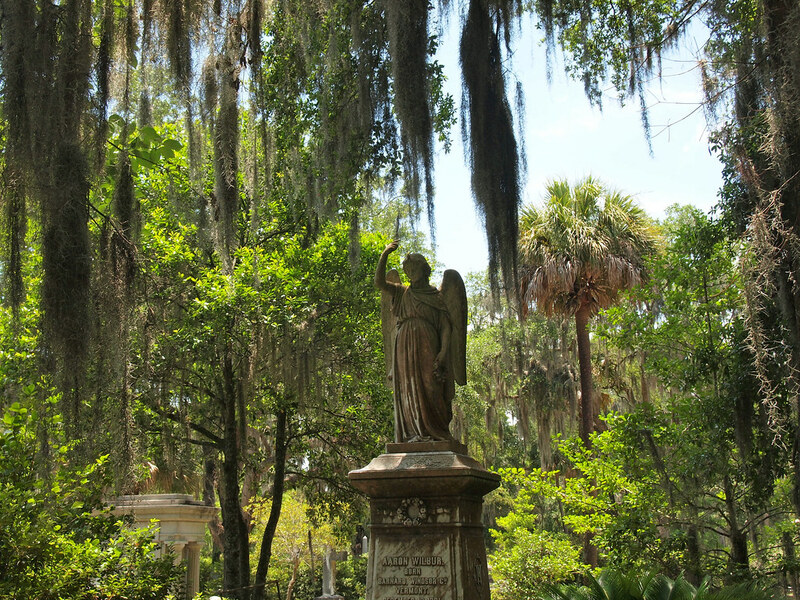 The statues and old headstones were beautiful, and the Spanish moss definitely added something special! There is a name for all of us: Taphophiles: Cemetery enthusiasts! We aren’t weird or macabre, just lovers of beauty and fans of silence and memory. Your photos are stunning, Dangerousbiz! I truly cannot choose a favourite! Thanks so much for sharing these! My brother and I travel specifically to visit cemeteries and Bonaventure is on our list for next Spring. Your photos make us want to rush there right now, though! 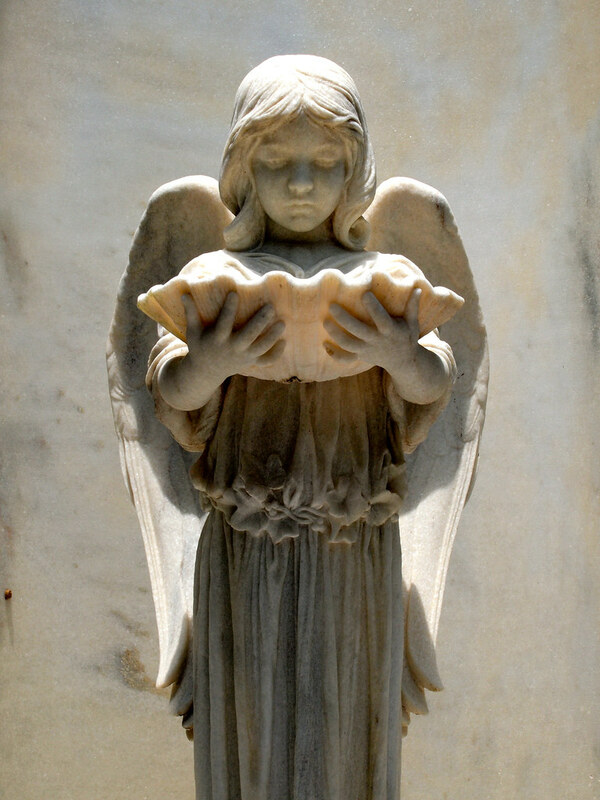 Check out our website of cemetery photos, videos and reviews if you like (http://www.bellamorte.net) You will find many of America’s best cemeteries featured at the site. Enjoy! Taphophiles – I never knew that there was a name for it! That’s awesome. And if you travel just for cemeteries, I don’t think this one will disappoint. Just make sure you go check out the oldest sections! Thanks for the tip! We will definitely check out the oldest sections when we get to Bonaventure! My pleasure! I hope you enjoy it! I have no doubt we will! Thanks again for the great pics! Haha, fair enough. Actually, the face of that statue was really creepy to me (with the white eyes). I find cemeteries very interesting! I would definitely visit this one as part of a trip to Savannah. You’re pictures are very beautiful. Thanks, Debbie. I’m really glad my sister and I took the time to visit this one. 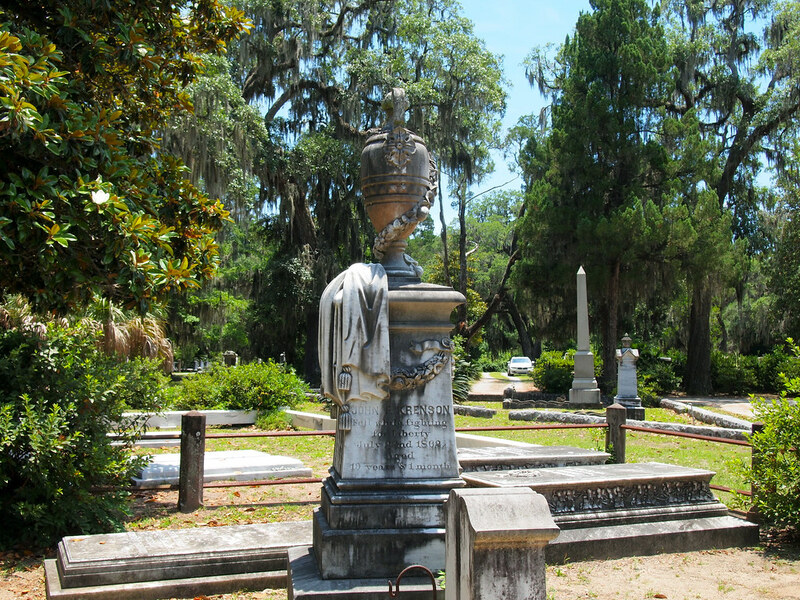 The famous Bonaventure Cemetery!!! Who can forget Midnight in the Garden of Good and Evil?! Shhh I actually haven’t read the book OR seen the movie! 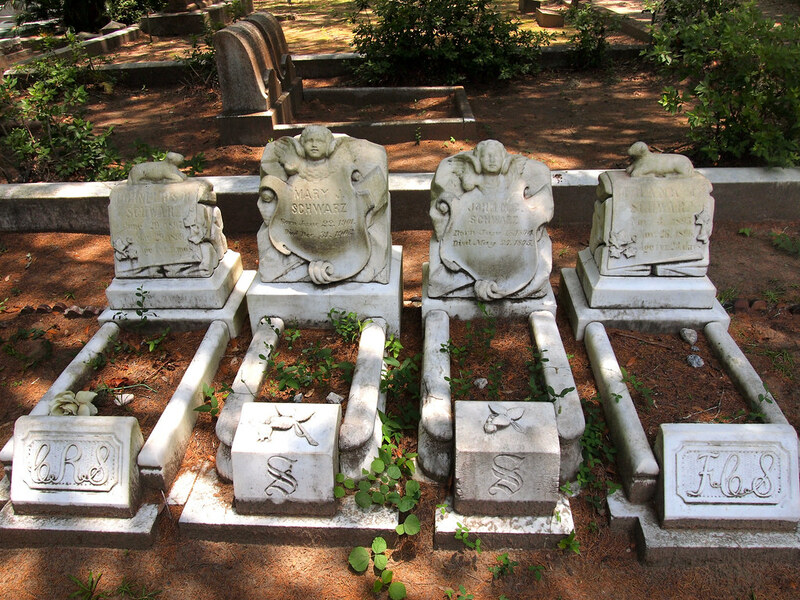 I love visiting cemeteries and usually seek out the oldest one in the cities we visit. I’m fascinated by the attention to detail and the artwork on some of the tombs and memorials. It’s a testament to how a life and death were honored by the living. 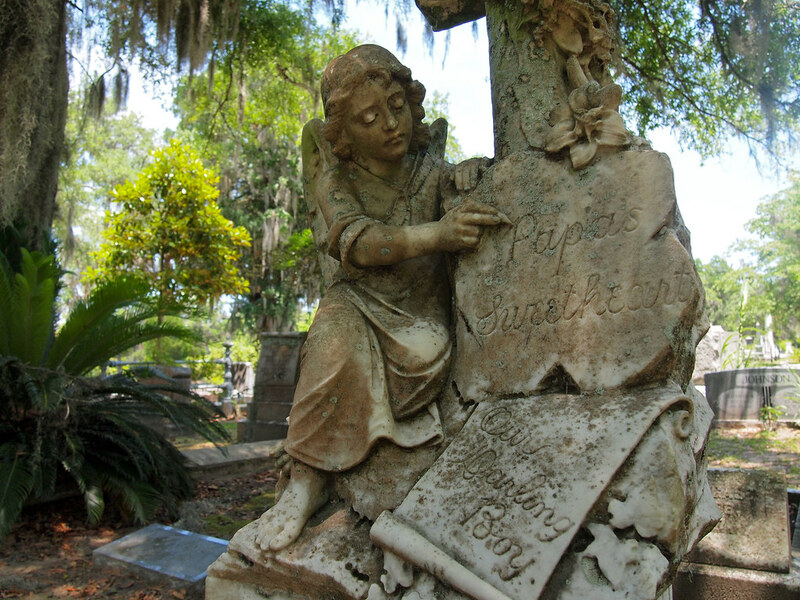 Some of the most fascinating cemeteries I’ve seen are in New Orleans, Louisiana; Paris and Cassis, France and various places in Germany. Beautiful ‘cities of the dead’. I’d like to visit Bonaventure some day; The trees make a dramatic backdrop for the statues. 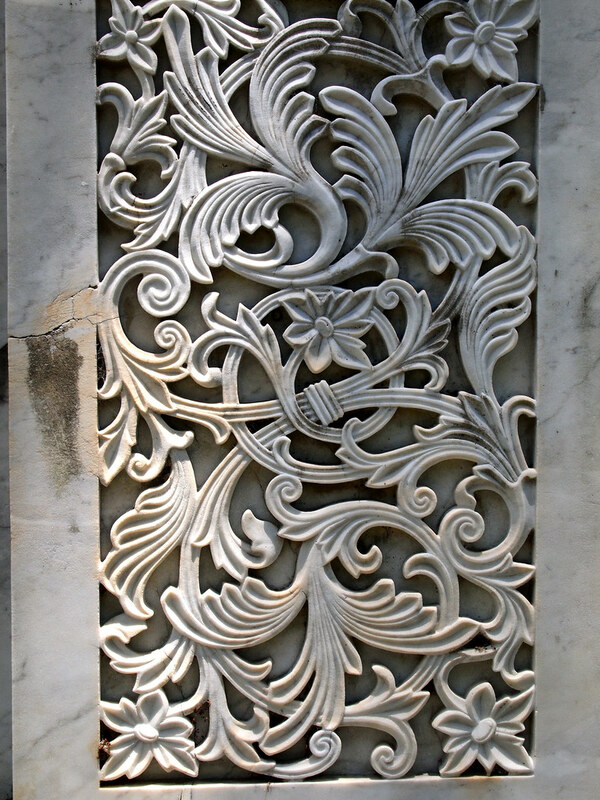 I’m fascinated by the details and artwork in old cemeteries, too. Newer ones just aren’t as personalized anymore. I’ve been there, it’s a very mysterious and magical feeling to be there, and your photos are stunning! Thanks! I loved wandering around and just taking it all in. That’s one beautiful cemetery indeed. Your pictures are simply awesome. Thank you! I had an awesome time taking photos there. I know, right?!? The big old oaks with Spanish moss… just perfection. I loved your article and all of your gorgeous photography! 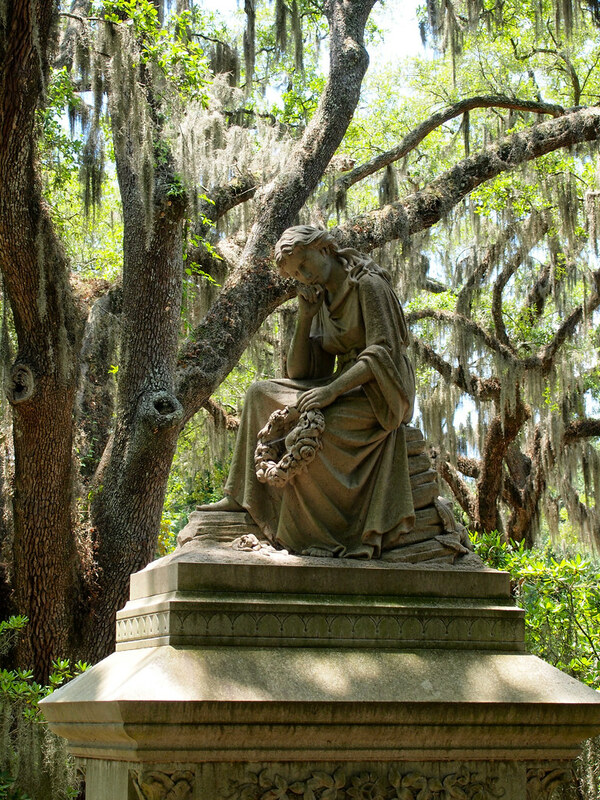 My favorite photo is the girl with her chin to her face holding a wreath with the Spanish moss draping behind her. I was fortunate to have visited Bonaventure just last month & my husband and I just loved it! We thought it was amazing and gorgeous! I am visiting Oxford, Ms again soon and will go to William Faulkner gravesite in another beautiful Victorian era cemetery. Thanks so much for posting this great photos! Enjoy your travels! It really is a special place, isn’t it? Glad to hear that you and your husband enjoyed it, too. 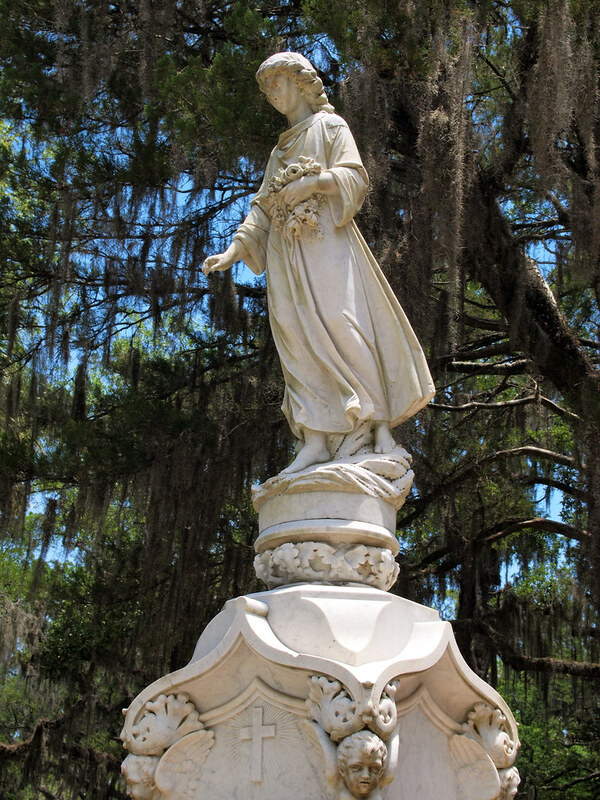 I’m blessed to live in Savannah and love visiting cemeteries, so as you can imagine, Bonaventure Cemetery is my favorite place here. When friends ask for recommendations of what to see/do when they visit, this is always tops on my list. The best time to see it is in the April/May timeframe when the azaleas are blooming. It is absolutely gorgeous! Thanks! It sounds weird, but I love this cemetery! It’s so beautiful.